Things to do this week for Easter. FAMILY. The Kelmarsh Country Show, Sunday 21st April – Monday 22cnd April. It’s back and ready to give everyone of the family something to do over the Easter weekend. Plenty of activities await with a line-up of superb entertainment. Welcoming lots of new features including Countryside Arena, field sports and more there are over 200 exhibition stands, live music and of course lovely food and drink. Find out more here. FAMILY. Festival of Country Life, Lamport Hall & Gardens. Sunday 26th April. Step outside and enjoy a lovely traditional show for all the family at the beautiful Lamport Hall and Gardens. With a variety of craft stalls, antiques stands, food and drink plus entertainment and displays you can also visit the museum of rural life and learn all about how food was harvested in the old days. You can see vintage tractors and how rural crafts such as spinning and spoon making are still being kept alive. A lovely day to spend with family learning and taking in the scenery. More information here. 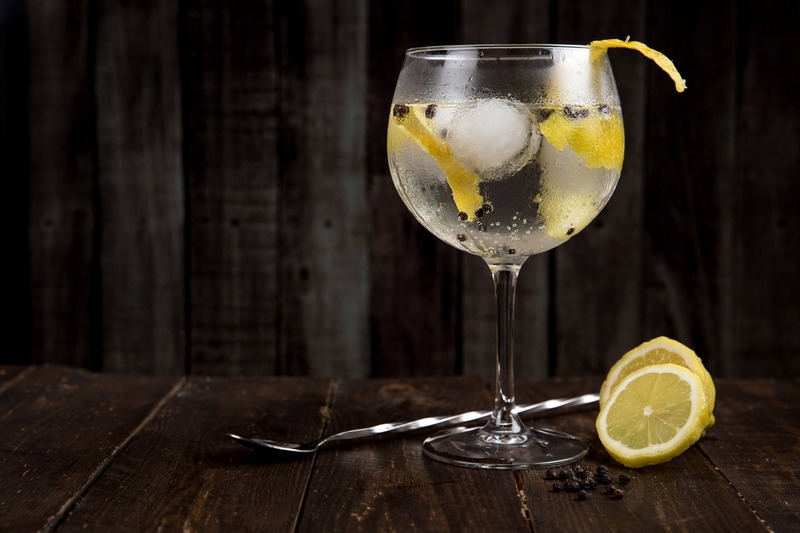 DRINK: Burleighs Gin Tasting, Friday 19th April. If you’re like us and love gin, Towcester Mill Brewery Shop have some samples of Burleighs Gin to try out and fall in love with this weekend. With flavours to suit everyone, Burleighs Gin encompasses four London Dry Gins into their core range. If you fancy trying out some new gins, no excuse needed, the event is free and more information is online. BEAUTY: No34 Beauty, 34 Billing Road, Northampton. Say hello to the new beauty place to be, opening end of March. 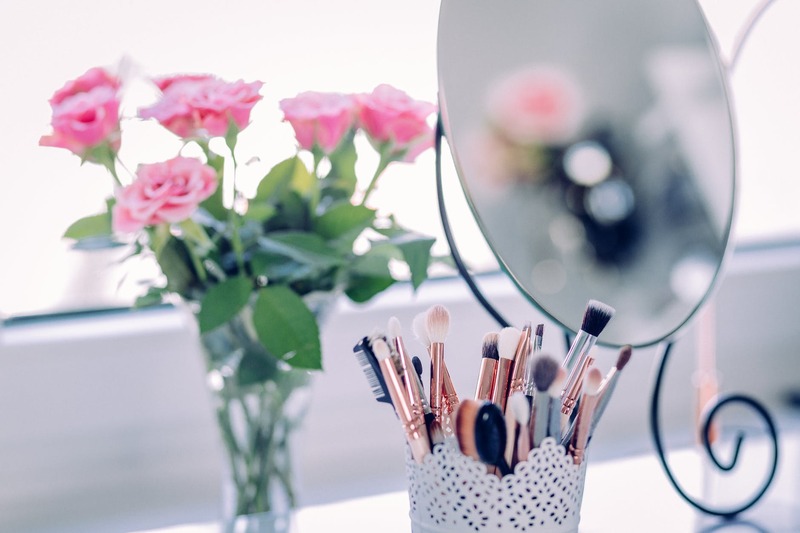 No34 Beauty, a collaborative and stylish beauty studio in the heart of Northamptonshire offers dermaplaning, bridal hair and make up, hd brows and lash extensions just to name a few incredible treatments. Friends Ruth, queen of skin and Aimee, an award winning hair and make up artist are excited to open to the public on 30th of March, so pop down, say hello and treat yourself to a glamorous day of pampering. Be sure to check out their website and social media for more information. FOOD AND DRINK: The Grain Store Coffee House, Manor House Farm, Woodford. Opening on 2cnd April at 9:30am, this new, cosy coffee shop is nestled away in the beautiful Manor House Farm Estate. 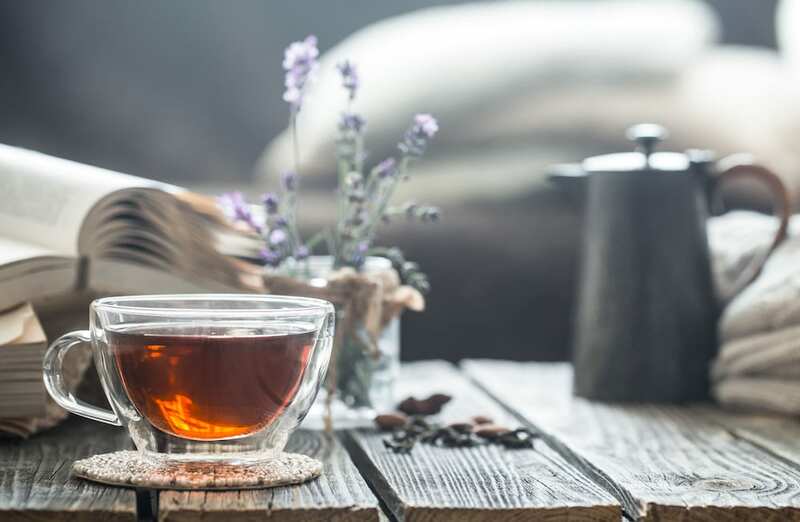 Enjoy something from their selection of breakfasts, light lunches and delicious home made cakes. Be sure to follow their Facebook page for more information. FOOD: Easter Sunday Lunch, The Church Restaurant, April 21st. We won’t judge if you don’t fancy cooking this Easter but The Church restaurant can help you out. Spend your Easter Sunday with family or friends and enjoy a delicious roast dinner served all day, with free Easter eggs for the kids! What’s not to love?! EVENT: Victorian Beauty, Holdenby House, 21st and 22cnd April. Roll up, roll up, to Holdenby House this Easter weekend and experience an Easter like no other. This event is not to be missed, a traditional Circus themed Victorian Easter with Circus School, shows, Falconry Displays, Victorian Fete & Games, Food and Craft Stalls and much more. Also they haven’t forgotten a good old Easter Egg hunt, so what you waiting for, find out more information and prices here. 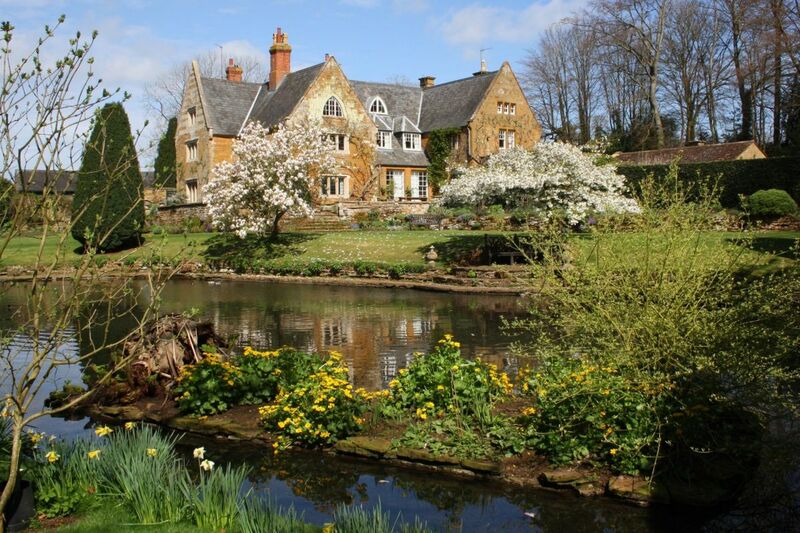 The last week of April is the start of the beautiful time where Coton Manor Garden’s turns full bloom. Take a relaxing day out visiting The Bluebell Wood, amongst seeing the beauty of other magical flowers at The Water Garden. April and May are often their busiest periods due to how beautiful it is when the different areas come to life. Check out more images here, but I promise, photos do not do it justice so be sure to check it out yourself. FILM: Northampton Filmhouse, throughout April. If the weather isn’t on your side but still want something to do and get out the house, take a trip to the Northampton Filmhouse to catch screenings of Ray & Liz, Fisherman’s Friends and Dumbo! Who said it was just a kids film? Purchase tickets online. Oh and P.S, if you become a Northampton Filmhouse Member you can enjoy three free tickets per member, per year*. You can also save on food and drink purchased from the bar with 10% off and £1 off all subsequent tickets purchased for the members use. Sounds good doesn’t it? More information here. WELLBEING: Hotpod Yoga, College St. Mews, Northampton. Trying to get that summer body scheduled in? Or just want to try something a little new and exciting? Hotpod yoga is an incredibly unique way to yoga, in a dimly lit heated pod, expect to sweat harder, stretch further and immerse yourself deeper. The warmth of the pod and the physicality of the flows will work your body, while the dim lights, purple hues and immersive soundscapes will calm your busy mind. Expect an intense hit of yoga. A great way to unwind and relax and be a little more mindful whilst keeping fit. Find out more and book online. Offering a range of unique shopping experiences from cafes to salons, home ware to fashion boutiques, Nene Court is located in Wellingborough, Northamptonshire. Take a look online to see the fantastic selection of shops available. Bands in the Park is back, starting 7th April with Moulton 88 Brass Band. Visit every Sunday from 2pm – 5pm to listen to a new incredible band every weekend in the beautiful surroundings of Abington Park. 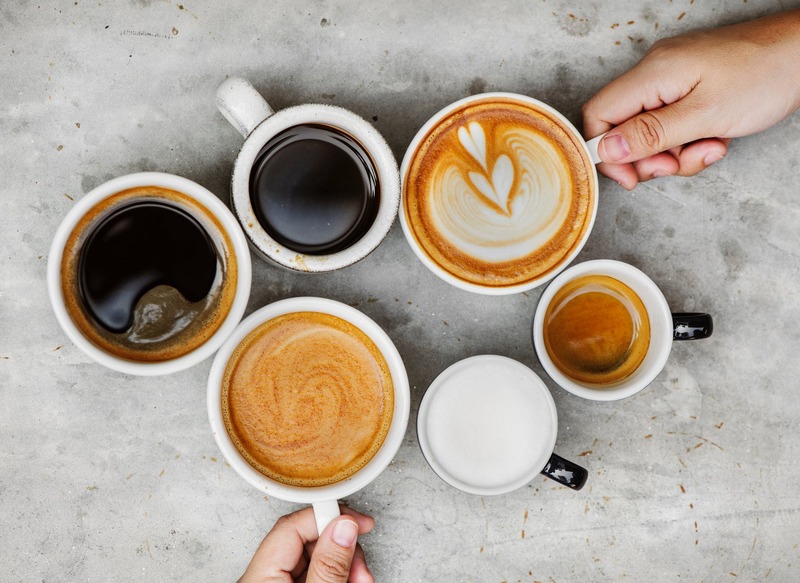 Relax with a coffee and cake at Abington Park Cafe whilst soaking up the sun and listening to bands including Daventry Brass Band and Brackley and Distric Band. Hosted by the council, find more information on the councils website as well as all their other events here and their Facebook page for an introduction to who’s playing. Easter Egg Trail, Abington Park Museum, Wednesday 17th April – Monday 22cnd April. 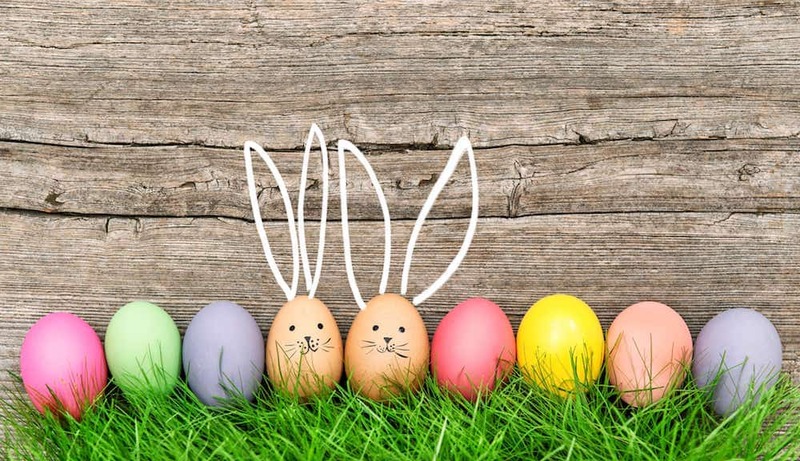 Abington Park Museum are opening their doors to an Easter trail with chocolate egg prizes for every child, an event suitable for children of all ages. £1.50 per child, no booking is required, with different dates and times to choose from. FILM: Alice in Wonderland, Saturday 20 April. The Vintage Retreat are showing Alice in Wonderland for free this Saturday! If you fancy it with your family, friends or kids, check out their event page, full of other amazing events in the next months to come. The Big Easter Giveaway, Northampton Market. 19th & 20th April. A whole lot of exciting prizes are up for grabs at the Big Easter Giveaway. Between 10am to 3pm on both days enjoy the Easter Shoe Trail, where you can enter into an additional draw being ran by Northampton Borough Council and Steffans Jewellers. You can win a Silver Spring Egg pendant from Steffans if you are one of the lucky few to pull out a silver egg. There are other things to do including workshops and a parade, ready to get you into the Easter Spirit. Find out more here. Delapre Chocolate Factory, Friday 19th – Monday 22cnd. If you’re a family of chocolate lovers, spend a day out solving chocolate factory puzzles and earn your golden ticket that can be exchanged for guess what? chocolate! You can also exchange tickets for prizes including chocolate experiences and a chocolate fountain. Perfect way to spend Easter if you ask us! Included in the ticket is a full day access to the Abbey, special trail with prizes and chocolate making experiences. A family ticket is £20 and can be purchased here. Fancy an Easter hug hunt with a twist? Seeing as Northampton has a long shoe history and heritage, what best way to promote this by a shoe-style treasure hunt? Being ran for the first time ever, get your family together and explore Northampton town centre and hunt out the shops that have a Show Trail poster in their window. To find out more information about how to enter, just head to their website and get hunting. 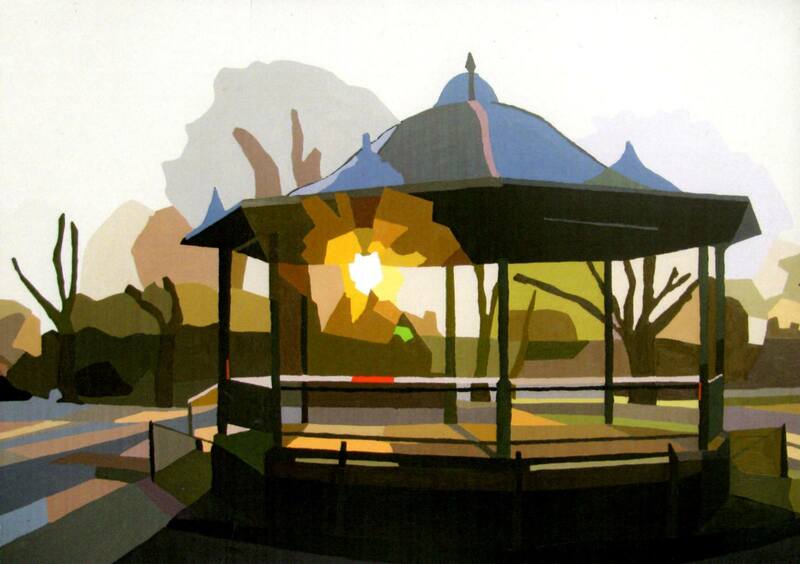 ARTS: Children’s Easter Craft Workshops, Abington Park Museum. Abington Park Museum have a variety of Easter themed Craft Workshops to keep your kids creative minds flowing. For only £2.50, spend the day making all sorts of Easter themed goodies, more information, just click here. Step back in time and dare to experience the dangers and delights of Dinosaur World Live in this roarsome interactive show for all the family. A special meet and greet after the show offers all our brave explorers the chance to make a new dinosaur friend. Don’t miss this entertaining and mind-expanding jurassic adventure, live on stage. Book now before tickets become extinct! 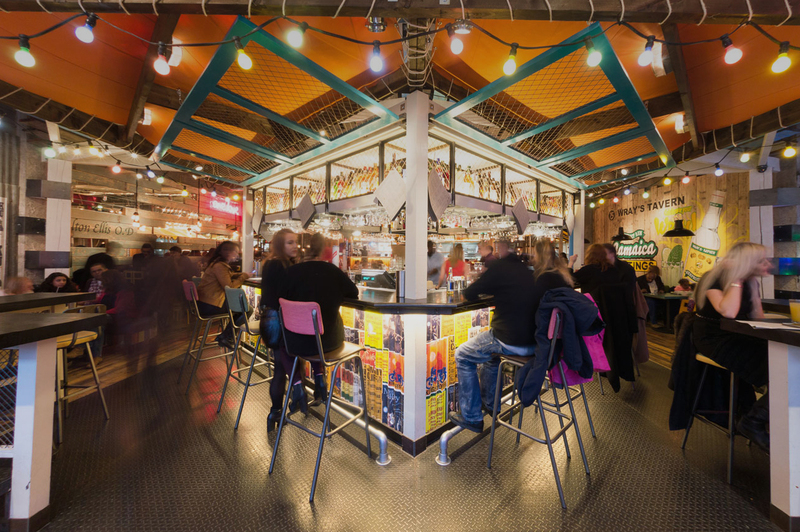 This Easter there’s something for everyone at Turtle Bay. The Caribbean restaurant and bar has launched an exclusive new cocktail that will tickle your taste buds and blow any diet out of the water and there will be free kite making kits available for the kids too. ‘Rum Rabbit Rum’ is the latest alcoholic concoction that will be hopping its way onto the cocktail menu for the Easter period, from Monday 8th to Monday 22nd April. The scintillating selection of ingredients deliver a delicious combination of Caribbean flavours including Pussers (rum), white cacao and coconut milk. A popular tradition in the Caribbean over the Easter period is to gather as a family and fly kites together. To celebrate this and so everyone can get involved in this fun pastime, children* will receive a free kite making kit so they can put their creative skills to the test. A great surprise for the little turtles when they order from the kid’s menu and it’ll be a bonus for the mums and dads out there if it keeps them occupied too, even if it’s just for a little bit. But you’ll need to hurry – once the kite making kits have gone, they’re gone! FILM: The Picturedrome, throughout April. 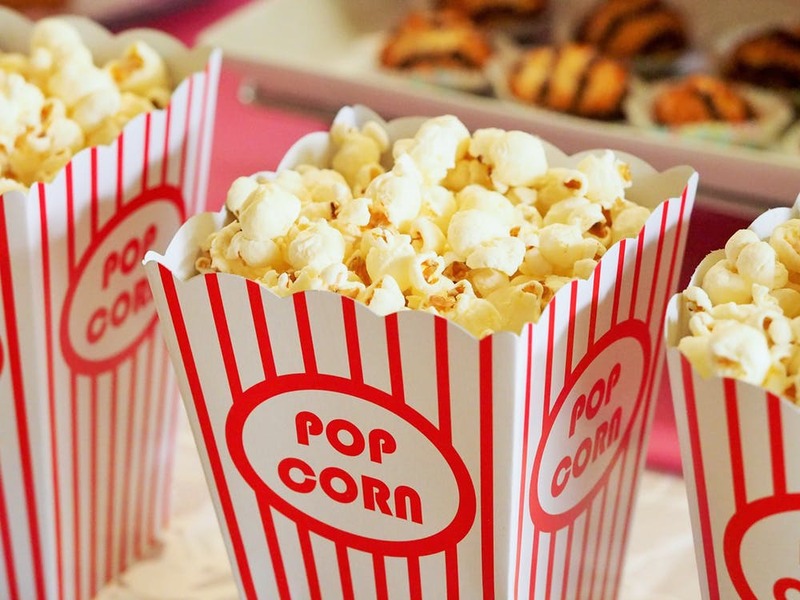 Over the half term, The Picturedrome are helping all you parents out by showing a range of films over the holidays to keep you and the kids entertained. If the weather isn’t doing any favours but you want to get out the house, head down to the Picturedrome over half term to watch films including Wreck It Ralph 2, Aquaman and HOP. Find out times here. ARTS: Rainbow Cafe, Stanwick Lakes. Got a Wednesday free with nothing planned? 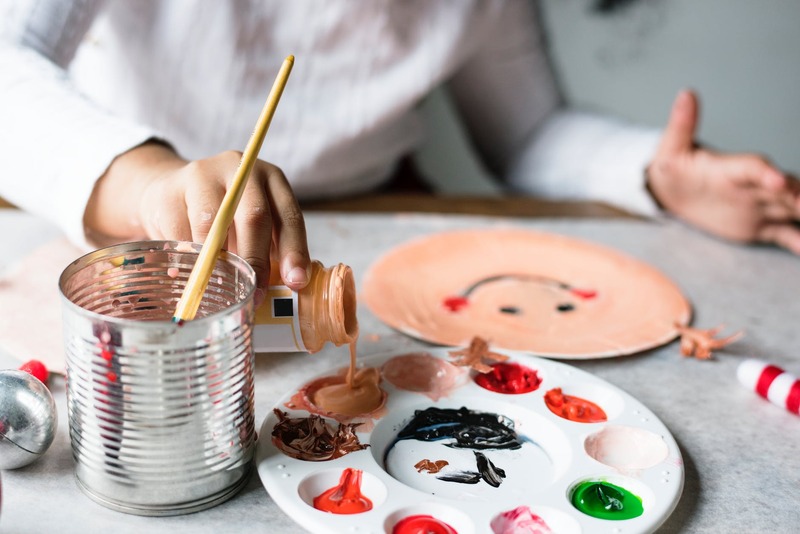 Stanwick Lakes Rainbow Cafe holds arts and craft workshops with music and movement ran by Lisa Matthewman, a fun and engaging educational session. CLUB: The Otters Holiday Club, Stanwick Lakes. With a range of options to suit available, Stanwick Lakes are excited to announce Otters Holiday Club is back and ready for an action packed Easter Holiday. Whether you are a working parent looking for childcare or a fun holiday club, or you would just like your child to be able to get out and be adventurous, then this is the perfect place! With short days (9am – 3pm for £22), core day (8.50am – 5:10pm, £25) or a full day (8:30am – 5:45pm, £28), The Otters Club has fun adventure activities for children aged between 5* and 11 years. More information online. Another one to check off the list is Chiplitfest, Thurs 25 – Sun 28. As you’d expect, not as many big names as Oxford but some great talks nonetheless including journalist Kate Spicer (The Sunday Times, Red, The Pool), author of Sunfall Jim Al-Khalil and Kate Williams, author of Rival Queens. Loads of workshops to get stuck into across the weekend as well. Chippy has a great programme for kids too with talks from Andy Stanton of the award-winning Mr Gum series and Paralympian Ade Adepitan. Jo Brand pops up again too.